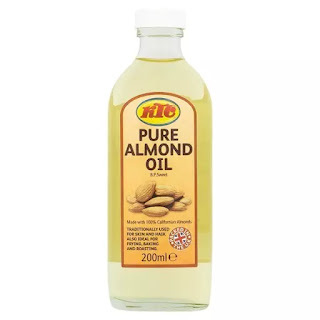 I was in a hurry to get this because LisaLisaD1 on YouTube recommended it, and she is the most knowledgeable beauty guru out there, if you ask me. Lisa tries everything, and is able to compare products so accurately. I appreciate her talent to isolate textures and colours to the most infinitesimal degree. She claimed that this was reminiscent of the Clé de Peau famed concealer, which I'd always planned to try. 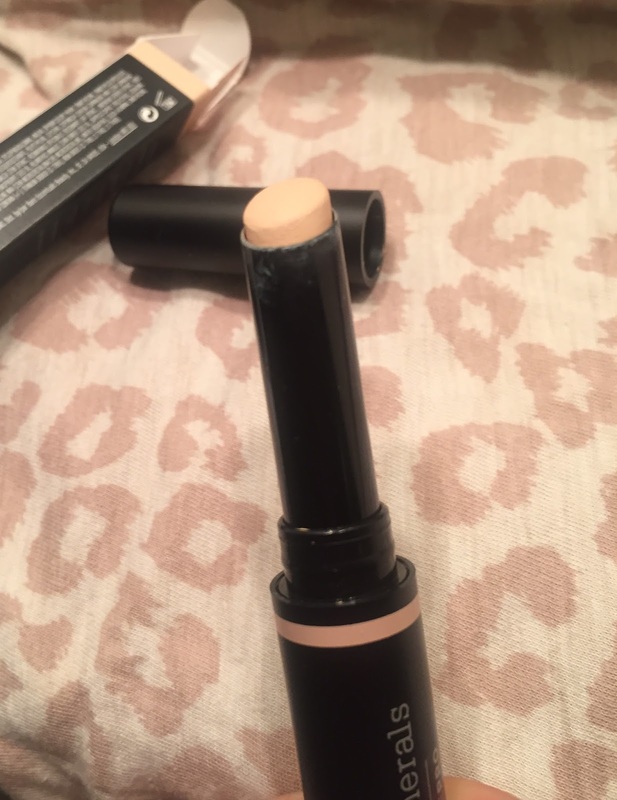 I've tried La Mer concealer and was underwhelmed, so I kept putting off spending a wad of cash again. Hence I pounced on this one! Applying it liberally gave a surprisingly chalky effect, and furthermore, it didn't seem to last on my oily skin. I began to regret my purchase and doubt Lisa for the very first time. Well I should never have doubted the master! After watching a tutorial she posted, I saw her use a brush and daintily take just a tad to cover her undereyes. I used the brush recommended by Bare Escentuals, the Bare Escentuals max cover brush (incidentally my favourite concealer brush and highly worth getting) and I realised: this is a concealer where less really is more. It wore much better when used sparingly, and it's densely pigmented so it covers well. The tone neutralises redness and brightens under my eyes too. Although it's only 2.5g, I see that it will last well. My favourite concealer is the OG Lancome Effacernes (sadly I hear they messed with a good thing, and the new version is not the same. 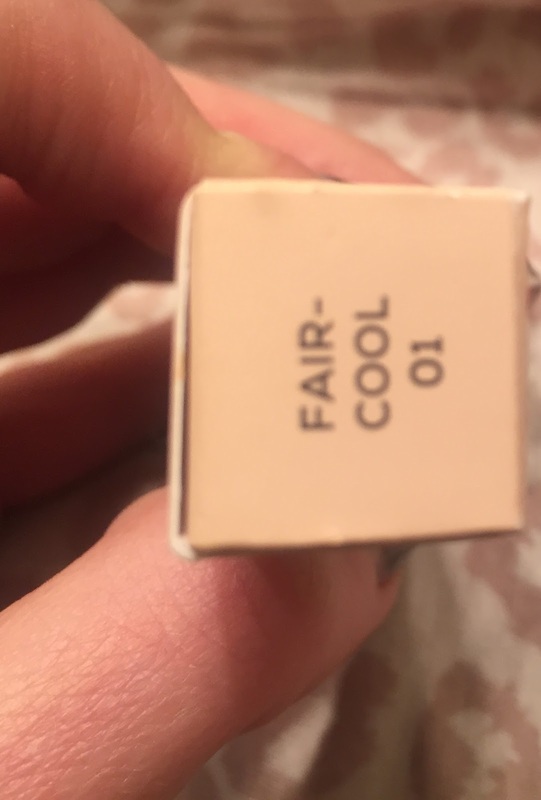 I still have 2 backups so I can only assume this is true whilst I stay blissfully in denial) and I also love Bobbi Bown Tinted eye brightener, which I'm upset to learn has been or is being discontinued! Why! 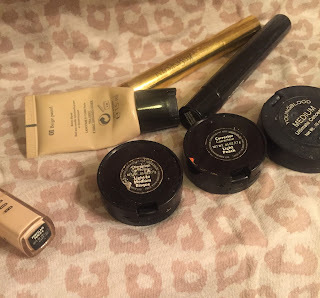 (luckily I have a backup and after it's gone I will investigate Laura Mercier's similar looking offering which just launched, if it's still going by the time I need it...) I also like, to a lesser extent, the cream pot corrector concealers by Bobbi Brown, and Youngblood concealer. 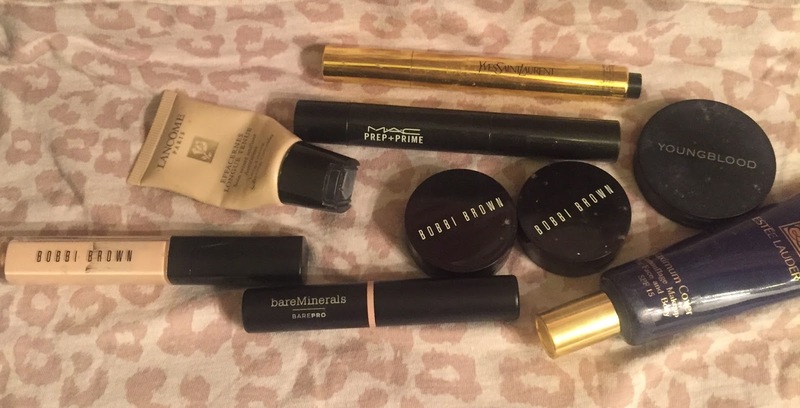 And who could be without some brightening reflective concealers, the king of which has to be YSL Touche Eclat, and a pinker more concealing version is MAC Radiant Rose Prep and Prime Highlighter, another LisaLisaD1 rec. I also like and perhaps should have included, Bare Minerals Stroke of Light, which is similar and better value as you get more product, but I can't help admitting that the MAC one is more pigmented and effective. However in my opinion I'm not sure its slight superiority justifies the amount to cost ratio. I also recommend using Estee Lauder Maximum coverage foundation as a concealer. I've had mine for aeons and it's pretty great albeit with a propensity to get stodgy if you're not careful. So in this convoluted hierarchy I'd say BarePro is third favourite, which considering its two usurpers are essentially discontinued, in some ways makes it First Place. In conclusion, I recommend this - give it a try! ... Have you tried this concealer? Please let me know your thoughts down below! Did you know we UKers too have CCOs? Well we do! I recently had to be in Portsmouth for the day, and was able to sneak off and hit the outlet shops of Gunwharf Quays. Many Christmas presents were sorted, as they have some great deals. But here, I'll just focus on the spoils to be found in the CCO. Before I show you, here is the list as far as research can determine, of the UK Cosmetic Company Stores. Please be aware they do not sell online, so you will not find an associated website; any websites trading under similar names are just aiming to confuse you. If coming from London, Bicester is nearest at a 40 minute train journey from Marylebone. However Portsmouth has a rich history and is a lovely place to visit, plus my suspicion is that you get better deals. The service in all the shops I went to was first-rate. Estee Lauder, MAC, Smashbox, Aveda, Origins, Tom Ford, Bobbi Brown, Darphin, Aerin, Bumble and Bumble, Clinique, Donna Karan, Michael Kors, Ojon and Glamglow. 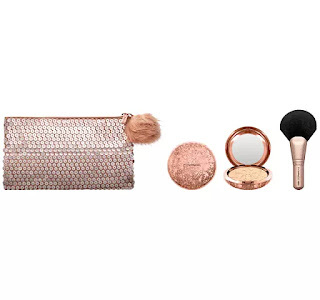 The nice thing about these stores, and in some ways even better than the discount, is finding gift sets, travel exclusives, asian-aimed skincare which is hard to find in most stores, or limited edition pieces. As it was near Christmas (unless this is commonplace) they had many gift-wrapped bundles and I even managed to find a gift-wrapped bundle on 50% off the original CCO price, for just over £12, and it looks like it must have cost me upwards of £40. They even gave me my purchases in an elegant white laminated bag and wrapped it in red tissue paper inside. I got the same high-end treatment (or better) as I would expect in a department store, whilst getting reduced prices. The shop was very neat and testers were clean and available for virtually every piece there. It was a real pleasure to browse and shop, and the staff were helpful and friendly. MAC do many more promotions online than they ever did 'in my day', too. There is no doubt that their stranglehold of even just ten years ago, has been slackened by social-media fuelled indie brands. Indeed, MAC are now collaborating with Youtube celebrities at a frenzied rate. 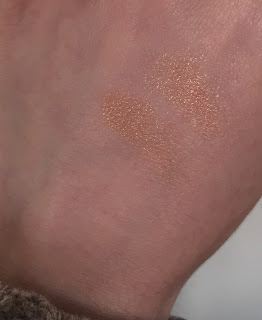 I remember when Temptalia did an April Fools spoof post about her collaboration with MAC - Just a year later, it was true. This was 2011, and I would say that's possibly the zenith of when the tide really turned. 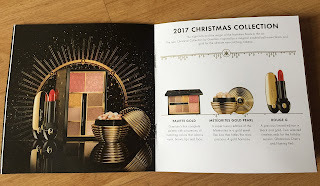 My point being, that some of these CCO discounts (typically only about £10 saving) can be equalled using a cashback site (I like Topcashback) and buying from sites which are offering gifts or other enticements; just the other day MAC was giving away a limited edition blusher from a random LE collection in 2016 with minimum purchase, which clearly was otherwise destined for a CCO. So in other words, the thrill of a CCO is to be taken in context. That being said, it was immense fun to see old collections brought back to life. MAC Trolls and the infamous bright blue and green lipsticks collection which reduced MAC to literally giving them away were present and correct. A few odd Mariah Carey items and a lone brush set from Nutcracker Sweet. So far so predictable. They also had a large amount from the moribund Estee Edit collection. I fought against my resentment of the cringey names and bought the last "Mega Chorella" soap bar for £12; as far as I can see from ingredients it is identical to the current Estee Lauder Algae soap which is £20. But the surprise was to see lots of current products, even Estee Lauder Doublewear was there! - and not just the dark shades as is usually the case. Plus my favourite powder Lucidity. 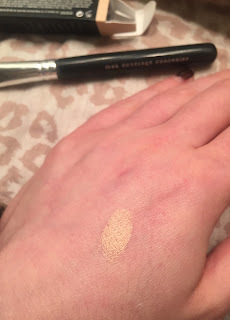 Clinique stalwart skincare items such as Dramatically Different Gel, and some brushes, eg a MAC 239 at around the £15 mark. (I didn't remember paying much more than that and frankly that price seemed high for a CCO to me, but it was still nice to see an iconic MAC brush in a CCO.) There were also gift sets including an Estee Lauder set I bought online a while ago for about £30 and considered a great deal, for about £20 in the CCO. (3 minute makeup bag which I blogged about here.) There were some novelty Glamglow mud masks, and limited edition Estee Lauder Bronze Goddess items, Clinique palettes, Bobbi Brown shimmer bricks. They also had the Estee Lauder Crescent White collection which I always enjoy finding to try out in person. The BB cream and the sunscreen are superb. They sadly didn't have the Origins Spot remover or my favourite Aveda smooth Infusion shampoo (although I did score the smooth infusion mask at half price of CCO price bringing it to a tasty £9) but when shopping at an outlet, obviously it's a place where you have to be adaptable. I would highly recommend a visit and I can personally say that Portsmouth was a really fun day out. Not to mention that if you're a history buff, they have some great museums there too. For months now, I have struggled. My loyal and faithful hair colourist absconded from duties. She is now a 2 hour trip away, which ultimately became too ridiculous. For some reason it's proving impossible to find a colourist equal to her skills. I am very fussy and a perfectionist, and have been lurching from one poor job to the next. Anyhow, to help matters, I've used Redken anti-snap and also had a couple of Olaplex treatments. But, I must say, this unassuming bottle has proven the cheapest by far, and surprisingly effective! I much prefer it to Moroccanoil as it has no silicones and it's surprisingly non-greasy. It's also been a joy to use on my hands and cuticles. It's in the "ethnic hair" aisle in Superdrug, but I have Caucasian fine hair and it's not been too heavy for me. 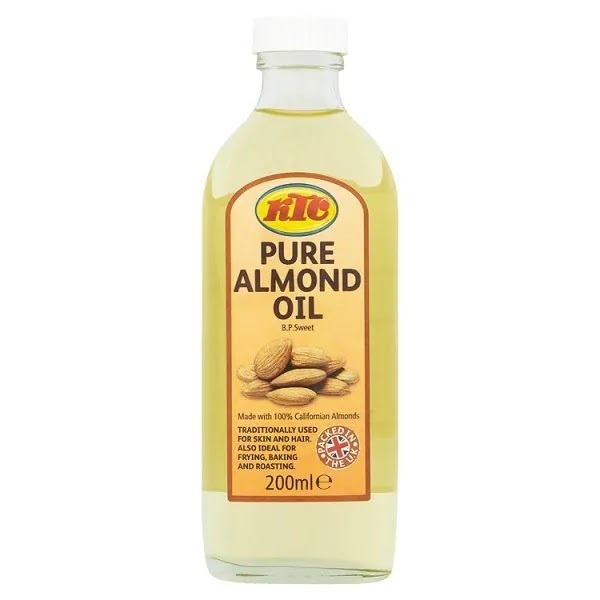 Give it a try, only £1.49 at Superdrug! 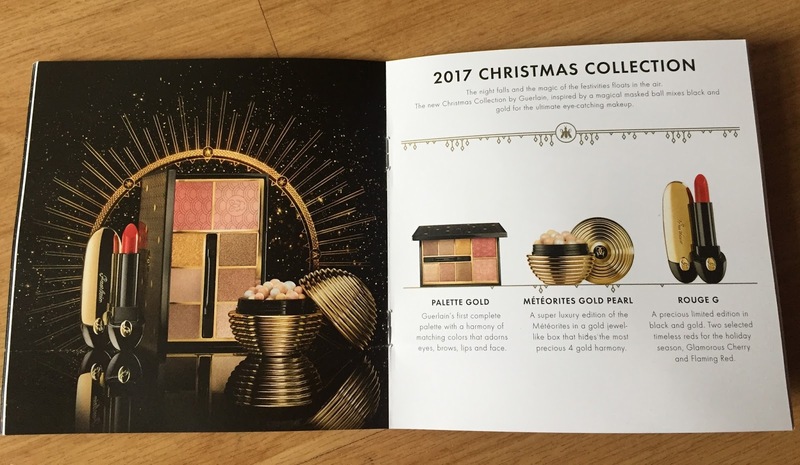 The other day I was able to take a look at Guerlain's latest holiday offering at House of Fraser. I must say, the sales assistant was very knowledgeable (Jessica) which was most refreshing! We were able to reminisce about past Christmas collections and debate which meteorites were the best ones yet. (a fraught topic which could induce fisticuffs.) Sadly, I came away without the new meteorites. I love the gold opulent house it's in, but the perles themselves are just a touch too glittery for my liking. The lipsticks, whilst wonderful, are red, and as much as I love red lipsticks, they initiate so much cacophony when worn, that I rarely get to use the enormous collection I already have. Terracotta Gold light was similar enough to the erstwhile Sun in the City, which is in fact too gold for me to use. 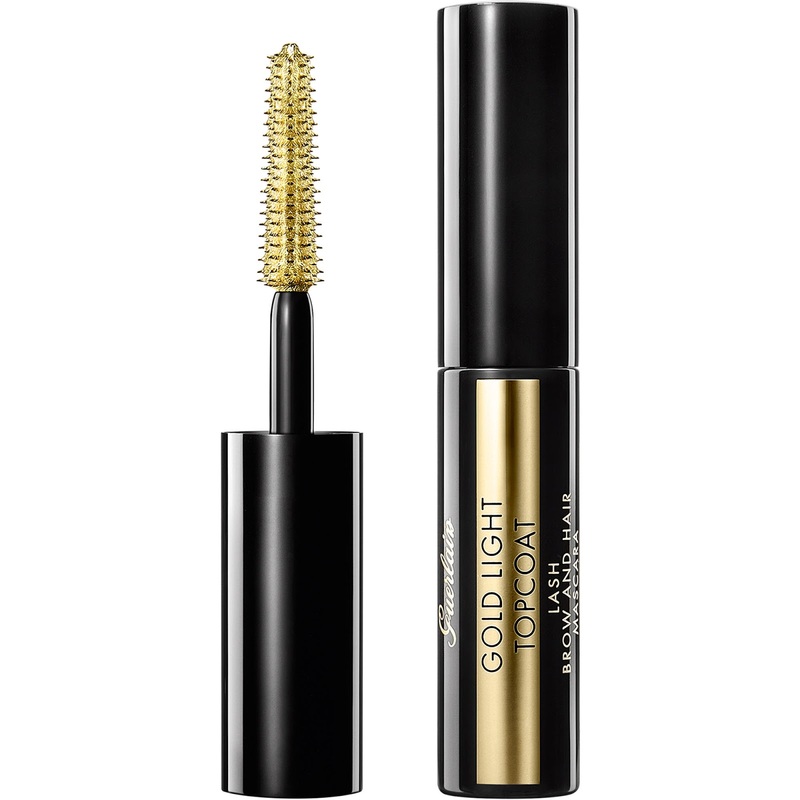 Gild your eyes with the luxurious GUERLAIN Gold Light Top Coat - Lash, Brow and Hair Mascara, a limited edition mascara that will frame eyes in molten metal. Inspired by the preciousness of gold, this sumptuous, glimmering top coat will help you to create an endless array of luxurious looks with a bold twist. Its deep golden hue sparkles with intensity, transforming your look in a single stroke. Apply to the tips of your lashes, or through your brows and hair to create add a festive finish to your everyday look. The only thing I am upset by, is the packaging. It contains less product than, say, Maxi Lash (one of my favourite mascaras) at 4.5g, but why does it have to look like a tester? If ever a mascara deserved to be in an ornate gold tube, it's when it's a gold mascara topper, surely! Nonetheless, I will be getting this as I think it's a beautifully done. 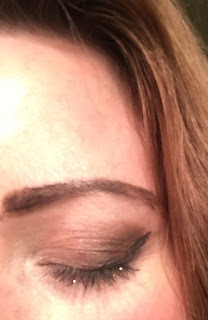 And I thought it might be easily mimicked by an Urban Decay gold heavy metal liner I had, but that is a glitter and the Guerlain is more of a liquid gilding. 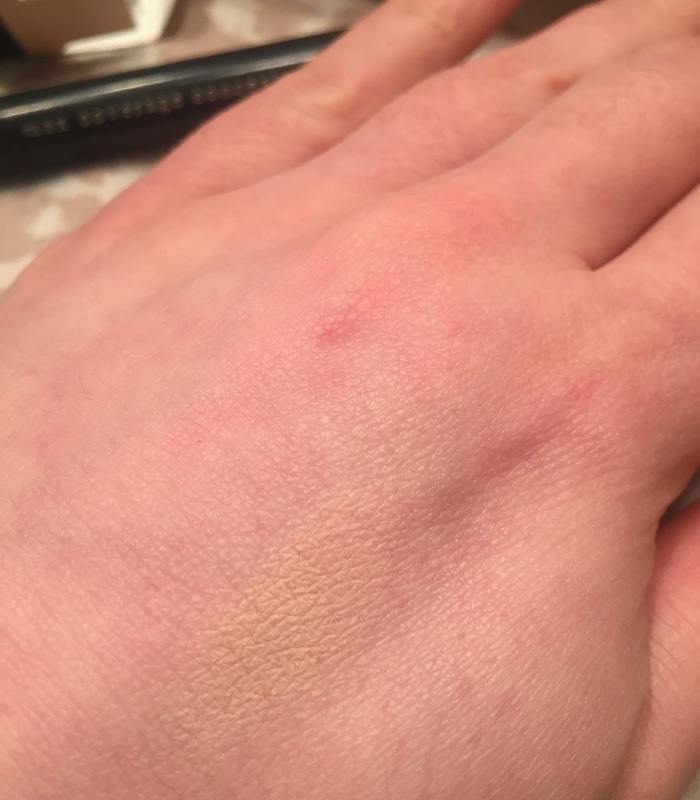 I also had a liquid gold body lotion which I thought I could apply with an eyeliner brush, but this too failed to create a convincing gold flash. So: this is a unique product which I highly recommend. These pictures were taken at the end of a long day, but the effect has remained. After years of using and loving Aveda Smooth Infusion shampoo, it didn't seem quite as incredible as it always had been. It still smelt divine, and I always, always had people deeply inhaling my hair and marvelling at the heavenly scent. But it didn't keep my hair clean for as long. And besides, I was beginning to resent paying hundreds of pounds a year for shampoo. I decided, perhaps I'll take this opportunity to step away from sulphates and parabens. Now, I have no idea what these are, as I'm not a chemist and science can only bamboozle me, but they sound bad... and if I was going to make a dramatic switch then I might as well change the entire approach. This, to me, smells like apple juice concentrate from a carton. Not bad per se, but not good. Perhaps my hair needs sulphates, because this literally doesn't clean my hair! I have never had this before. 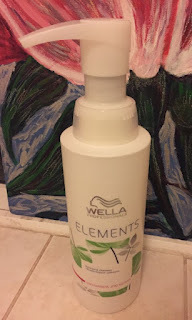 I have to wash my hair three times with this, as it doesn't lather well. And then, every time I've used it, my hair looks lank and greasy - right away! So disgusting. Perhaps if you have frizzy or curly hair, the way this makes the hair 'piecey' and stick together might be a benefit. But to me, this is utterly dreadful. Does anyone have any shampoo recs that won't break the bank? (Or do I need to shuffle back to Aveda?) Please let me know below! & If anyone wants this please DM me using my contact details!